Phobia blanket - It's New and Different!  It's New and Different! 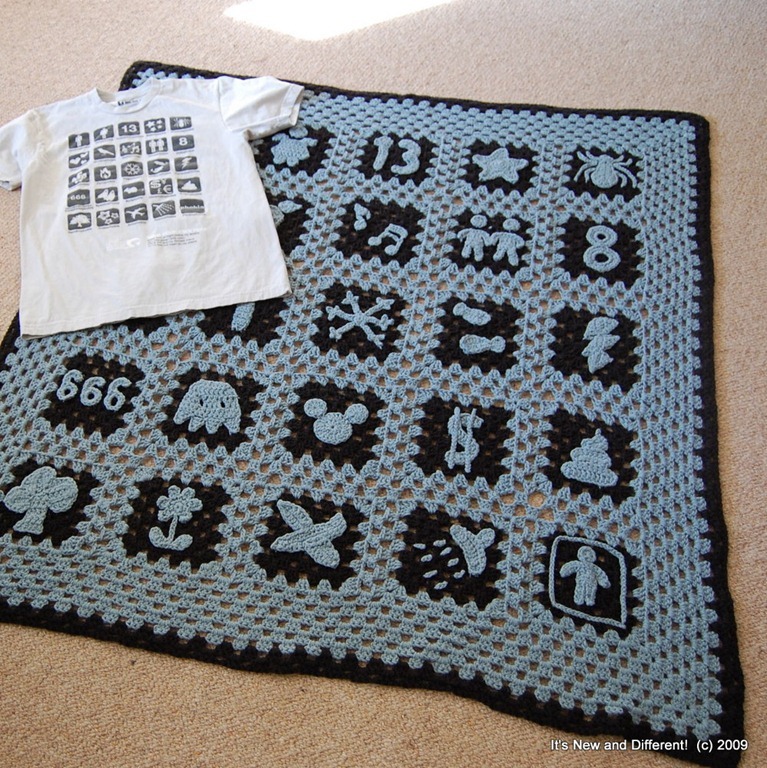 Back in 2009, in a yarn-filled flurry of a two-week period, I crocheted this “phobia blanket” as an entry in Threadknits, a knitting and crocheting contest sponsored by Threadless, everyone’s favorite source for snarky and sassy t-shirts. The object of the contest was simple: choose a Threadless t-shirt design, and knit or crochet a tribute to the design. 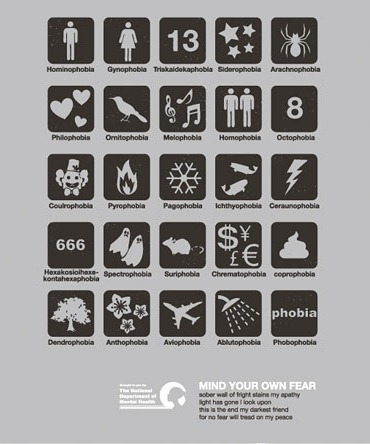 I chose “Scare List,” a grid display of phobias. Perfect! 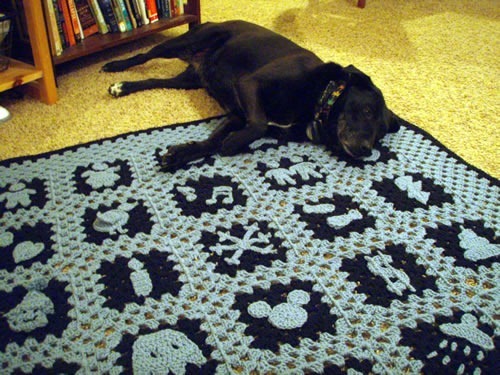 That’ll go great with granny squares. I tried to reproduce the design as faithfully…well, as faithfully as I felt like, on a square by square basis. 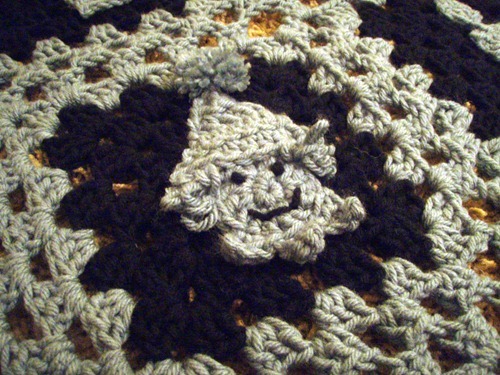 I crocheted each phobia onto its own square, taking some creative liberties here and there. The little guys on the homophobia square are holding hands. Mickey Mouse is (in my opinion) scarier than the average field mouse. I added my own personal phobia – claustrophobia – to the bottom right corner. The clown…oh, the clown. He’s got scary curly hair and a puffy pompom on his hat. And don’t even get me started on the bird. Birds are…shudder. So I’ve got some phobias. Who doesn’t? 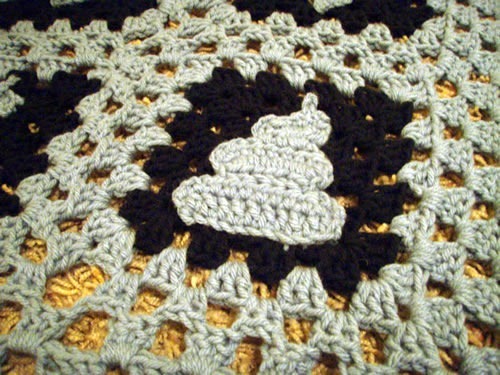 But the little pile of poo is just cute. Who could be scared of a pile of poo? 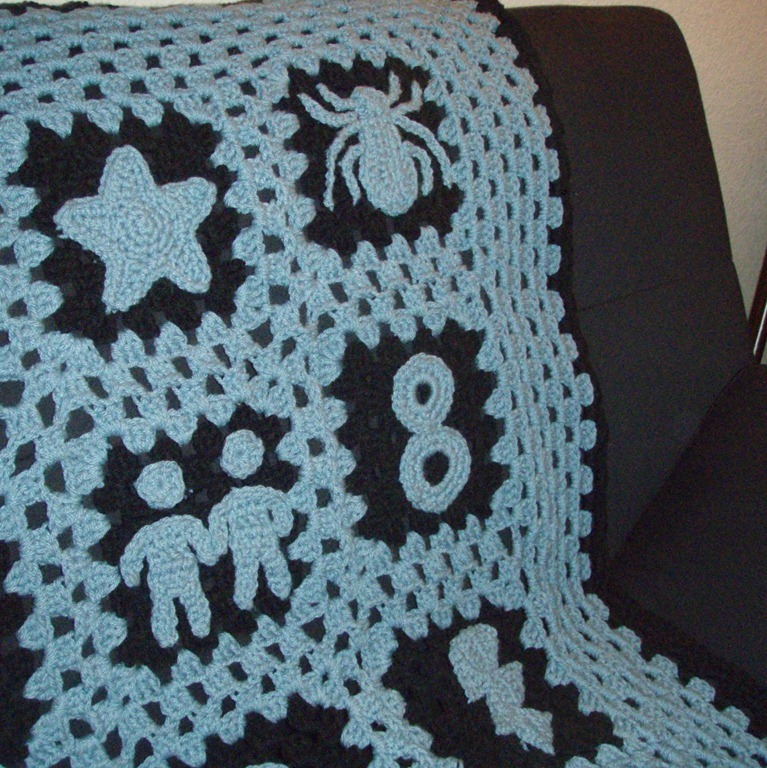 I’ve hung onto this blanket for a couple of years, but it’s spent that time in a box, out of view and use. It’s looking for a new home…are you brave enough?? Head on over to my Etsy page, but only if you’re sure you can handle it.